The world’s most famous cryptocurrency had been gaining short-term momentum on June 18th afternoon, supported by positive news coming from New York. A few days ago we have talked about the breakout of the triangle pattern, but for the last five days, the price action had been consolidating higher. That does not mean a trend reversal had occurred. The price action is still located below the triangle formation we have talked about and despite all of that, the Bitcoin price had gained 4.5 %, reaching 6,807 before starting to consolidate lower. The New York Department of Justice granted Square a virtual currency license, according to a material published on CNBC on Monday. That means the 7 million users of the Cash app are now able to trade Bitcoin. 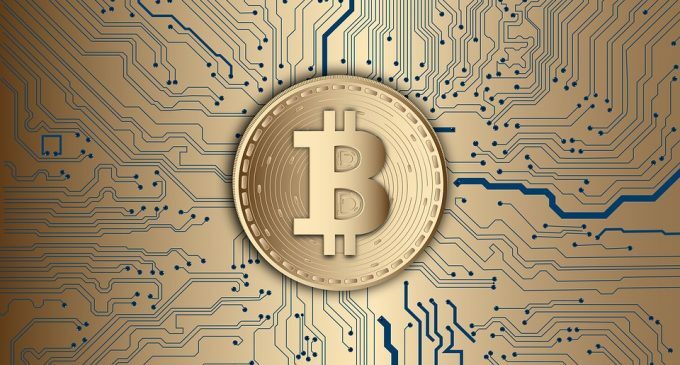 A growing number of people having access to Bitcoin transactions equals a higher demand for the cryptocurrency, which supports the price over time. However, the Cash app users are allowed to trade Bitcoin only in New York. If we compare the daily ranges from now and the year 2017, we could easily spot a big change, the Bitcoin being more stable now. Following the burst of the Bitcoin bubble which was signaled at the end of 2017, the cryptocurrency continues to stabilize at lower levels. Reduced volatility is expected to have a positive impact on the price in the long run. That happens because institutional investors – which had been criticizing Bitcoin for its wild price swings, could begin to see potential in the cryptocurrency market. With people’s interest in Bitcoin on a downward path, positive news is needed in order to change the current market sentiment. Regulation-related highlights are expected to have an influence on the price of Bitcoin and the other cryptocurrencies. However, as we have discussed in our latest article, a unified regulatory framework is currently discussed by a series of 37 countries, which could result in a better-regulated environment for people and companies that activate in the industry. Following the surge created by the Cash app news, Bitcoin is consolidating in a very narrow range, communicating that the buyers are being able to keep most of the gains intact. The price is still below the triangle formation, so the sellers are the ones who should be in control, on the higher time frames.